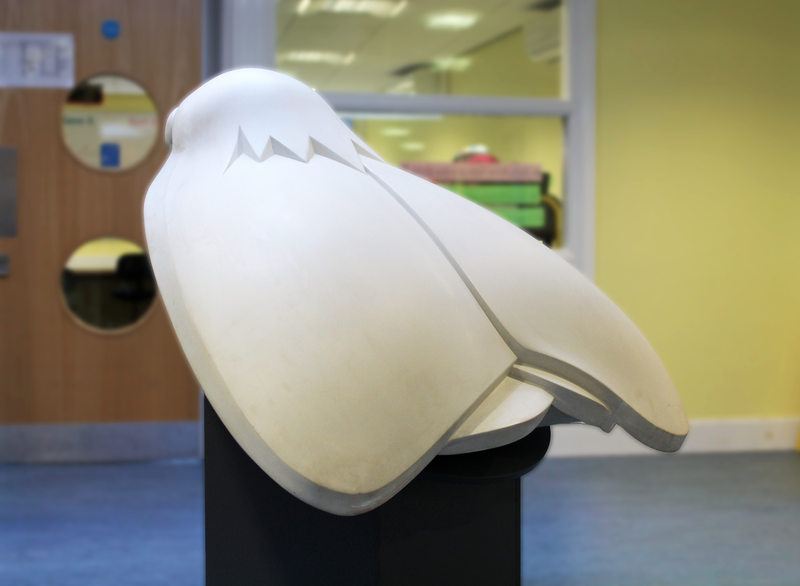 Following on from the Amy Johnson's 'A Moth for Amy' project, during the Hull City of Culture 2017 build-up, the Strata Group were lucky enough to be given the mould of the moth. After a brainstorming session at the Strata offices, we decided to replicate the moth and turn it into a creative project that others could be involved in. Providing the opportunity for others to express their creative flare, we thought no one would be better suited to the project than local primary schools and their pupils. From here, we made contact with Willerby Carr Lane primary school and offered them the opportunity to be involved. We were overwhelmed with their enthusiasm and excitement as they welcomed the possibility of designing and decorating the moth. After the date was set, M.D. of Sovereign Signs Iain McKenzie and Strata's Marketing Manager Adam Dennis carefully delivered the Moth to the school where we met Headteacher Mr. Smith, who was delighted to receive it and eagre to get the pupils involved in the design. 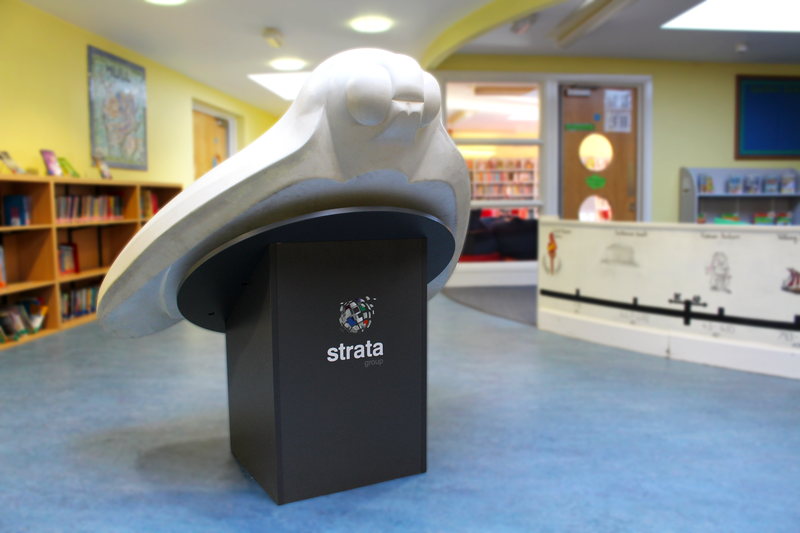 We left the Strata Moth in the caring and capable hands of the staff and pupils for a few weeks, before returning to see the finished product. 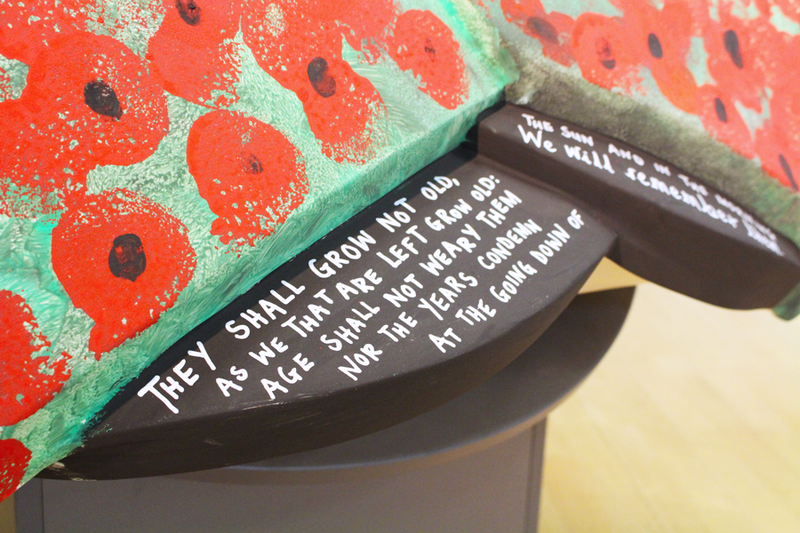 We were honoured to have been invited to the School for a special Armistice Day Assembly, where the pupils read stories and poems, and sang songs in remembrance, whilst the moth was showcased within the Hall. 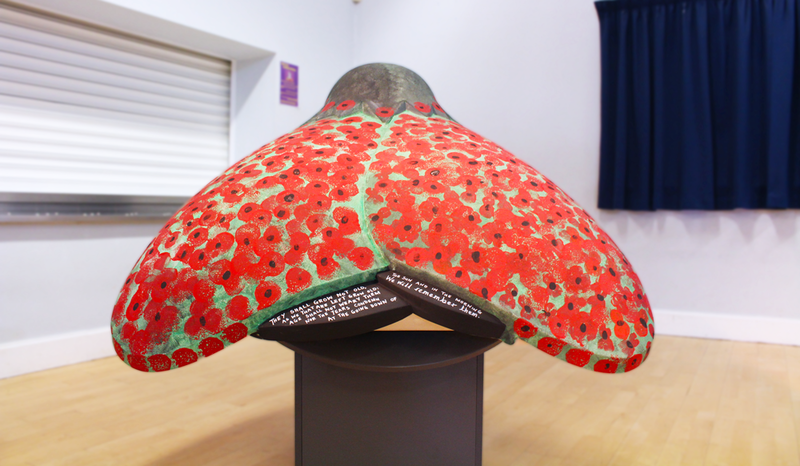 The School have done an absolutely fantastic job of decorating the Moth in poppies for Remembrance day and writing some heartfelt words on the front and back of the Moth's body. Take a look at the images below that show the moth before and after decoration and watch this video about the Moth's time at Willerby Carr Lane Primary School and what happens next! We plan take the moth around other local schools over the next 12 months. Be sure to Like our Facebook page to keep up-to-date with which schools will be chosen in the months to come. 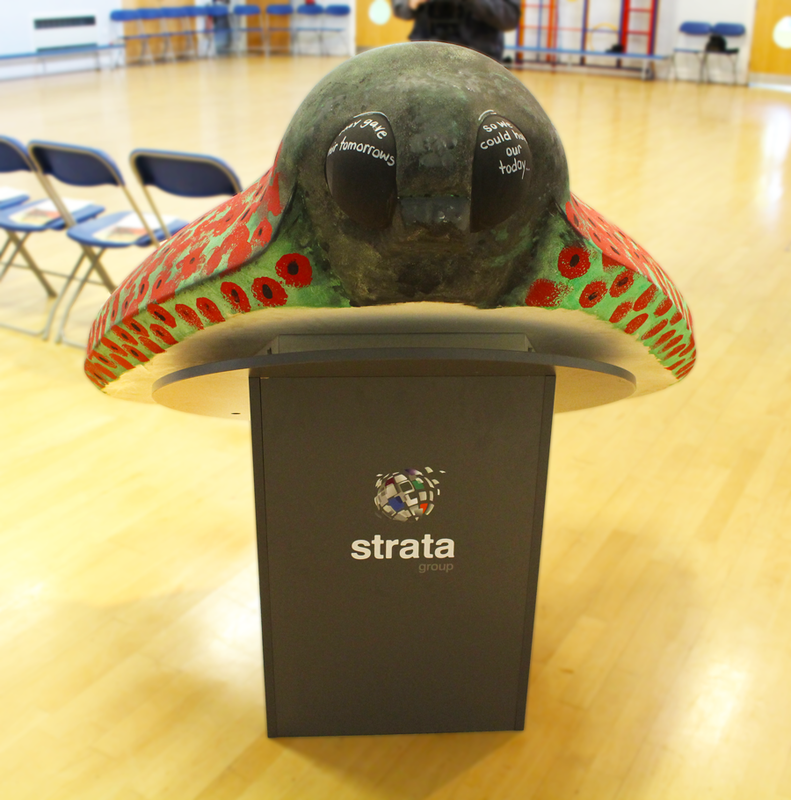 We'd like to take this opportunity to thank those who have put their schools forward for the opportunity to decorate the Strata Moth and a special thanks to Willerby Carr Lane Primary School for their warm welcome and design of the Moth.